A dental implant acts like a fixed tooth in your mouth. It is the closest alternative to a natural tooth which is available today. A dental implant is the most conservative option of all three alternatives. Implants are made of titanium and act like artificial roots which support a crown. a dental implant is generally more conservative option to replace a missing tooth, the adjacent teeth do not need to be prepared when compared to a fixed dental bridge. implants do not cover the roof of the mouth like removable dentures. implants do not alter the taste of food, like dentures do. an implant preserves the surrounding bone and prevents the surrounding bone shrinking following tooth loss. is scientifically proven to be more successful than a fixed dental bridge, dental implants are almost 95% successful after 10 years. an implant is 100% guaranteed to be successful at Brighton Implant Clinic. We offer a full refund if the implant fails during the course of dental treatment. 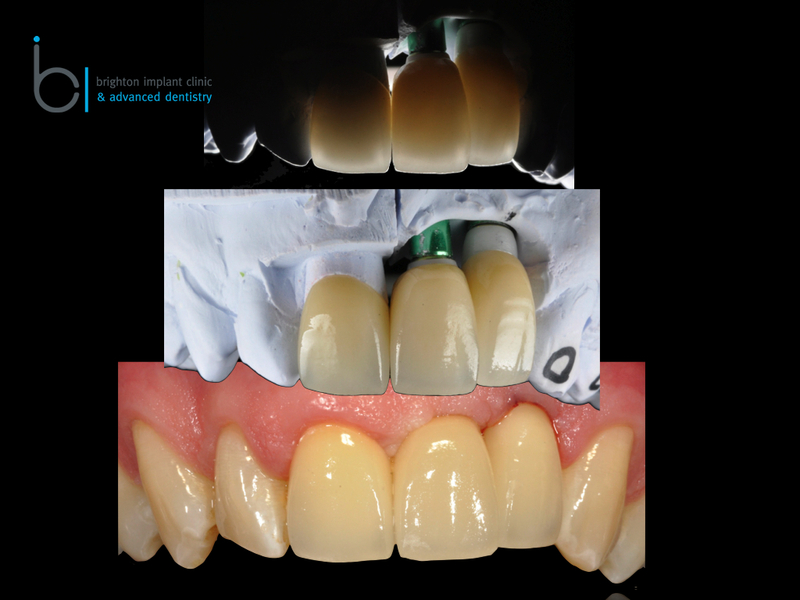 In addition to this we also offer a guarantee for one year following the completion of the implant treatment. 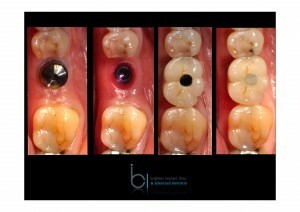 During this time if the implant should fail, or crown should fracture we will rectify or replace any defects. We offer a full refund if an implant fails within one year after the treatment is completed. is very easy to clean , flossing between an implant and a natural tooth is the same as natural teeth, hence is more hygienic than a fixed bridge. can take 3-6 months to complete depending on the complexity of the case. In some cases where grafting is required treatment can take even longer. dental implants can fail, this can be due to infection, gum disease or over loading of the dental implant. In some cases dental implant treatment may not be recommend because of health reasons or limited amounts of bone. surgical complications although very rare can occur. 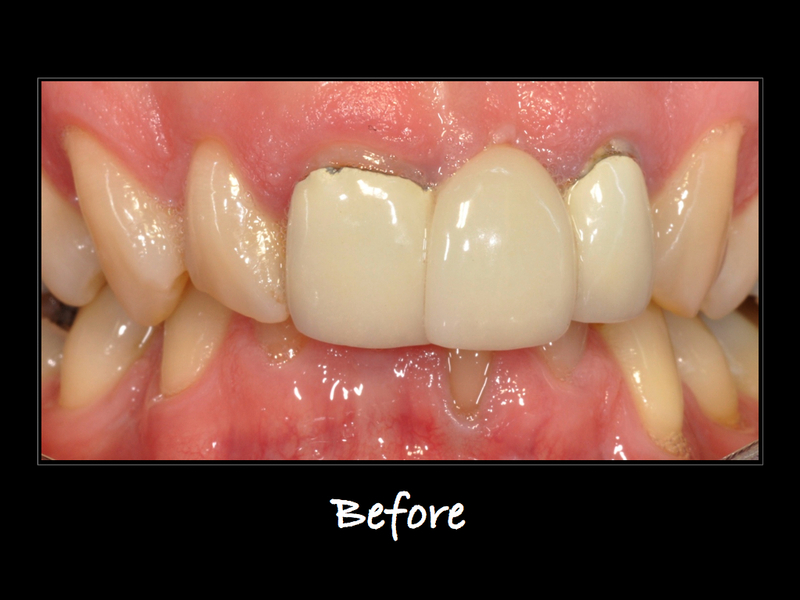 A patient presented at our clinic wanting to replace a missing lower molar tooth. The tooth had been extracted about 1 year before after a root canal treatment had failed. 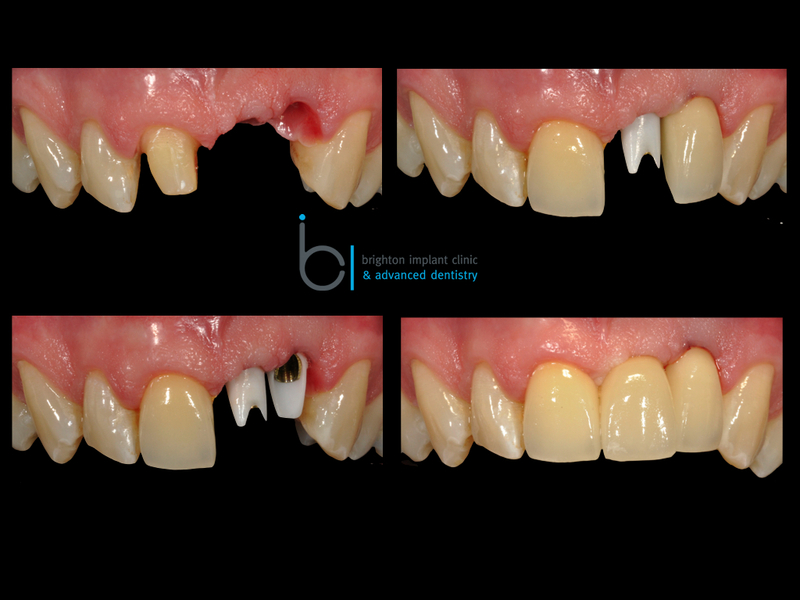 After an initial assessment it was decided that an implant was the best solution for replacing the missing tooth. Alternative treatments options were discussed with the patient. 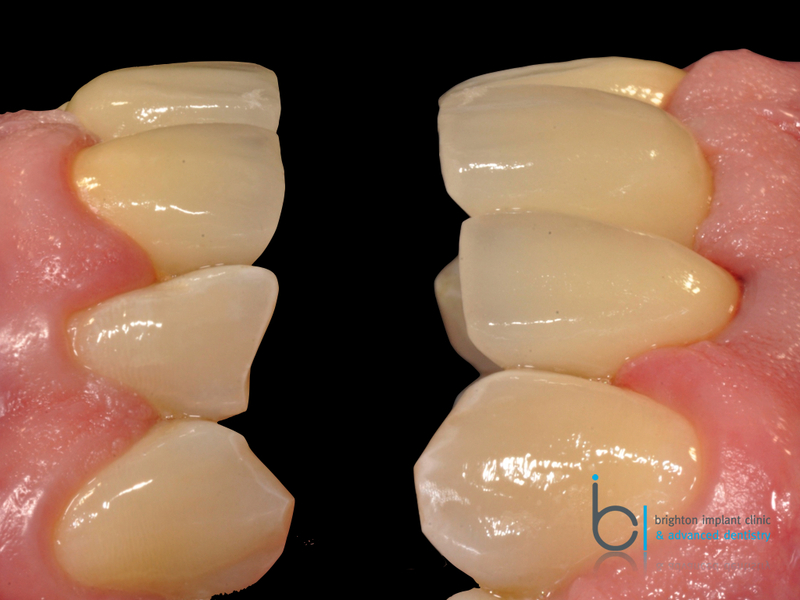 The alternatives to an implant are a removable partial denture or a fixed partial denture (also known as a fixed bridge) The patient was not keen on the idea of having something removable long term. The fixed bridge was also not an attractive option as it meant that the adjacent teeth would need to be reduced in order to accept a fixed bridge. The patient underwent implant surgery. Radio-graphs are taken of the implant treatment progress to ensure optimal healing during the healing phase. The photos shows the 4 stages of implant placement. 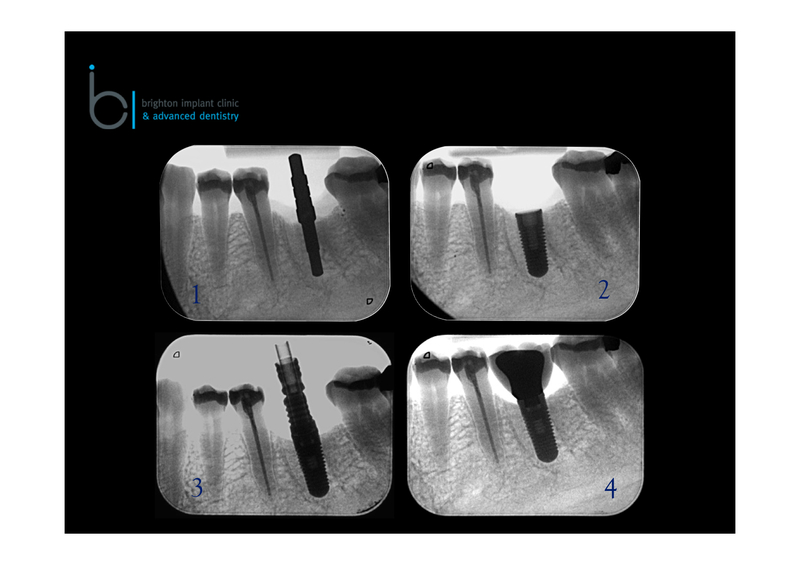 1) shows the direction planned for implant placement 2) shows the final position of the implant immediately following surgery. The implant is then left like this for a period of 3-4 months for the bone to heal. 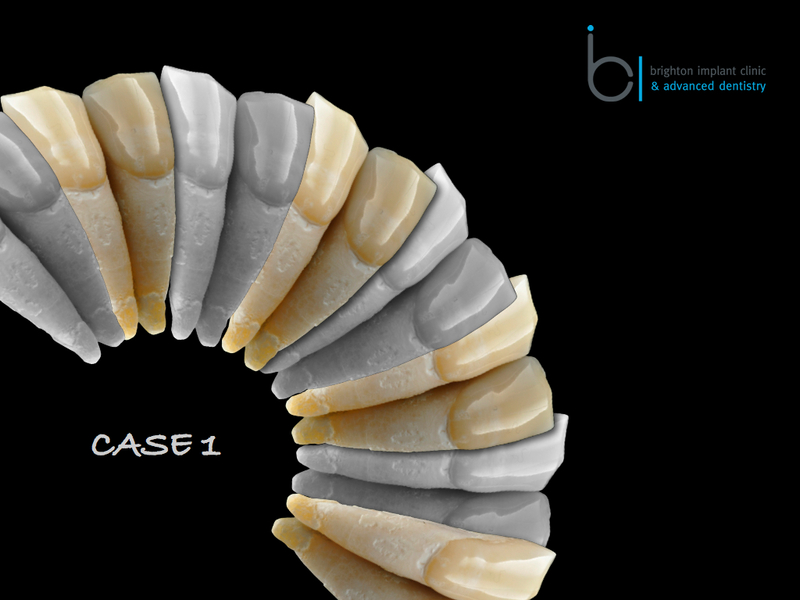 3) shows the dental implant after the healing phase when impressions are taken 4) shows the definitive implant crown fitted on the implant at completion of the treatment. The sequence shown in clinical photos. Directly following surgery a healing abutment is placed onto the implant. This is left in place during the healing phase to ensure that the gum tissues heal around the future implant crown. A neat tissue collar develops around the dental implant healing abutment during the healing phase. 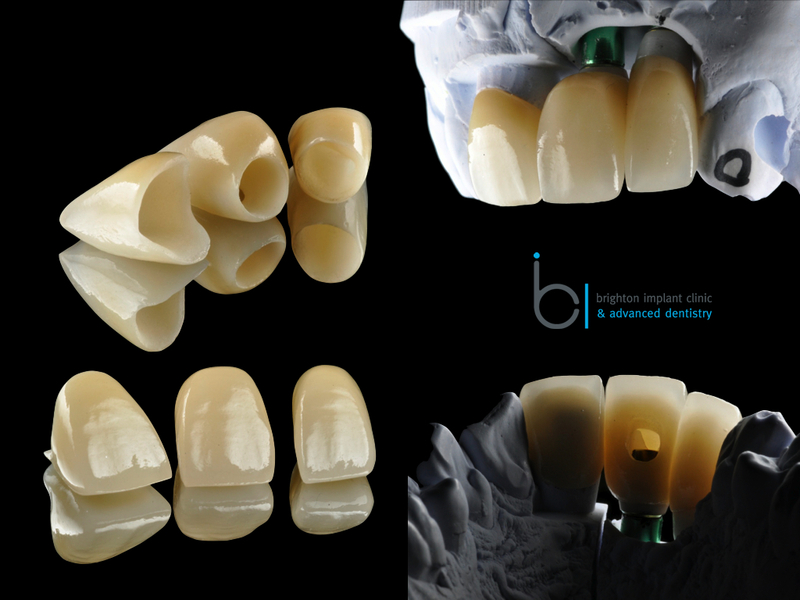 Impressions are taken of the dental implant in order for a dental implant crown to be made. 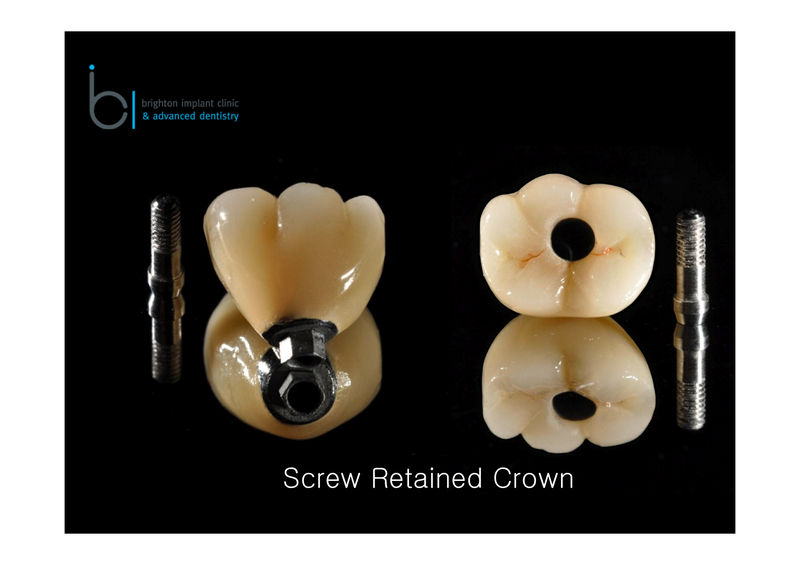 In this clinic case example a screw retained dental implant crown was made. 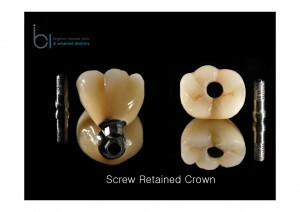 The screw access hole enables the dentist to access the crown if needed. A dental implant is an excellent solution for replacing damaged, missing or infected teeth. The procedure is guaranteed in almost 95% of cases and hence is considered as the most predictable field of dentistry today. An implant is made of titanium and vary in lengths and widths. An implant is likely to last 10-15 years if placed properly. After having a an implant placed it is important to maintain excellent oral hygiene. Regular visits to your dentist and hygienist will ensure many years of optimal function. Brighton implant clinic has three branches in Brighton, Hove and Hailsham. 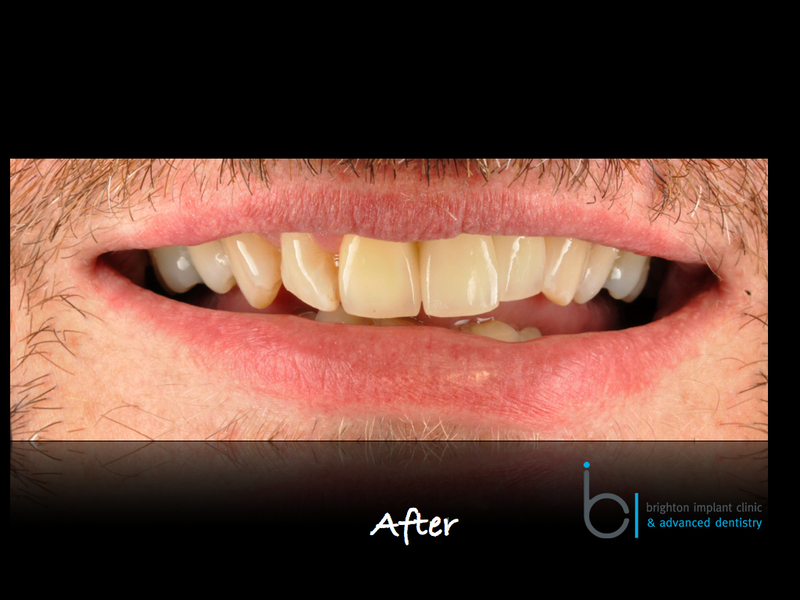 For more information on dental implants, please Contact Brighton Implant Clinic or Call 0800 111 6623 .